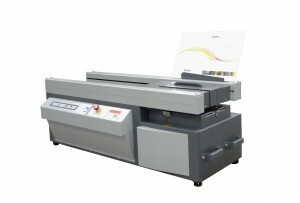 The KB-4000 PUR applies PUR melt to the spine for strong adhesive binding and EVA hot melt side glue for fast finishing. The entire system is programmed through the user-friendly touchscreen and the heavy-duty milling and notching tool ensures that an accurate and flat spine are provided prior to gluing. The KB-4000 PUR also provides a closed PUR application system, offering various advantages compared to open systems especially with regards to cost and productivity as waste and downtimes are minimal. The closed PUR system does not need any air extraction, due to minimal emissions. 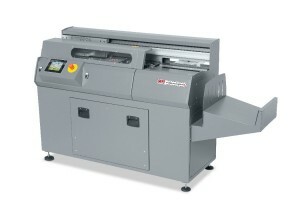 The application of both PUR and EVA hot melt side glue enable operators to handle the book faster than traditional PUR systems. 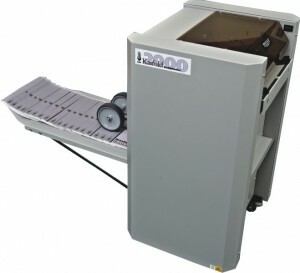 The user-friendly and automatic DB-290 Perfect Binder brings professional perfect binding to your desktop.